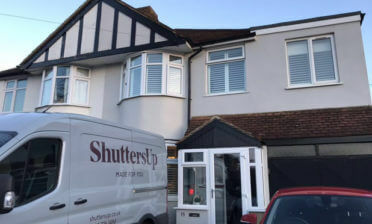 Tom was in our local area of Beckenham in Kent to install these shutters that we had perfectly made for multiple windows of the home situated in different rooms. 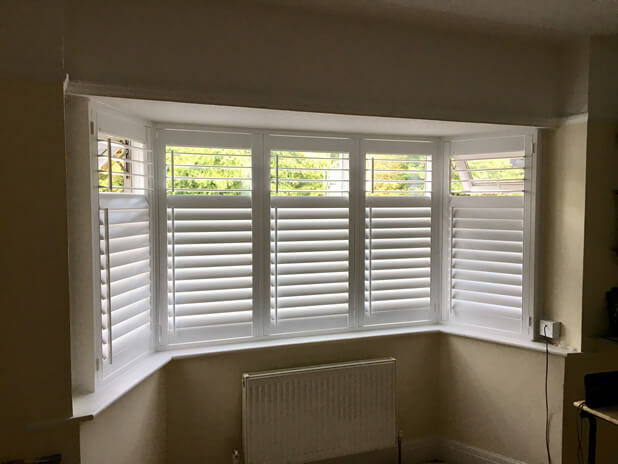 By visiting the custom before creating the shutters we are able to take highly accurate measurements, so that we can tailor design each panel of shutters to the different sizes of windows they are to be fitted to. 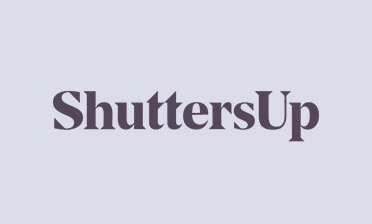 We also carefully match the style and finish of all shutters throughout the home, so that although they may be on different windows they all tie in with each other and create the perfect look! 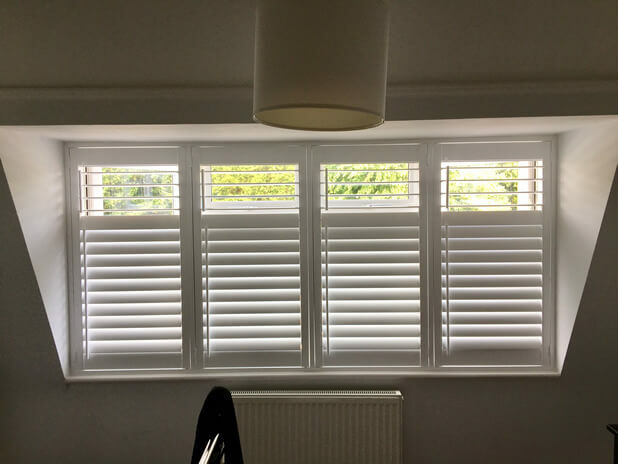 In this install we used full height shutters created using MDF and finished in a pure white paint throughout. With great attention to detail we also put invisible splits in the panels so that the louvres can be adjusted matching the same level of the windows behind. 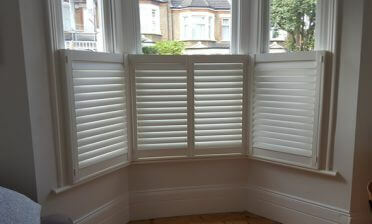 This can also be done using a visible split in the shutters, but for that extra clean look you can opt for invisible. If you carefully look at the pictures of this install you can see where the tilt rods split so that the top and bottom sections can be adjusted separately. Also great for getting the exact mixture of light and privacy that you desire! 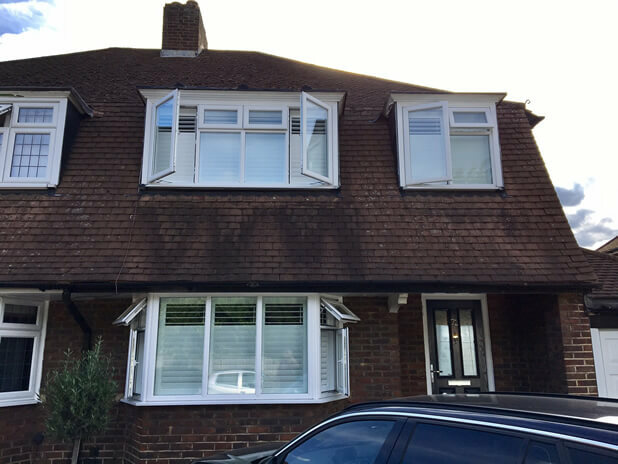 These tilt rods were designed to be offset on each panel keeping a traditional look to all the shutters while keeping in with the appearance of the property. 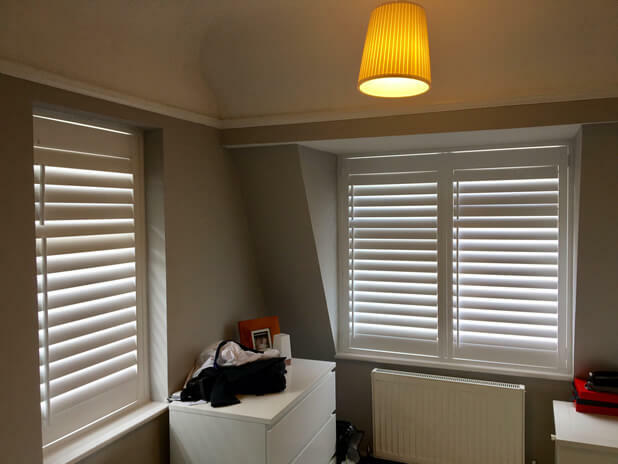 The client was really happy with the end results and felt that shutters were a far more substantial and robust solution to venetians that they were considering.